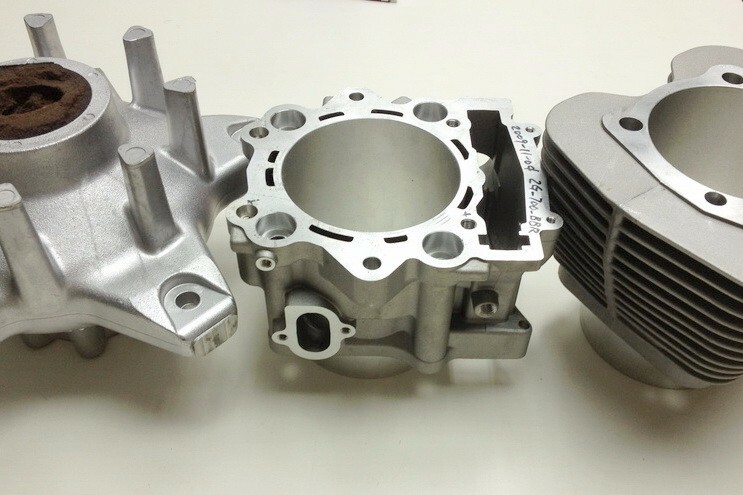 Taiwan based precision OEM castings. 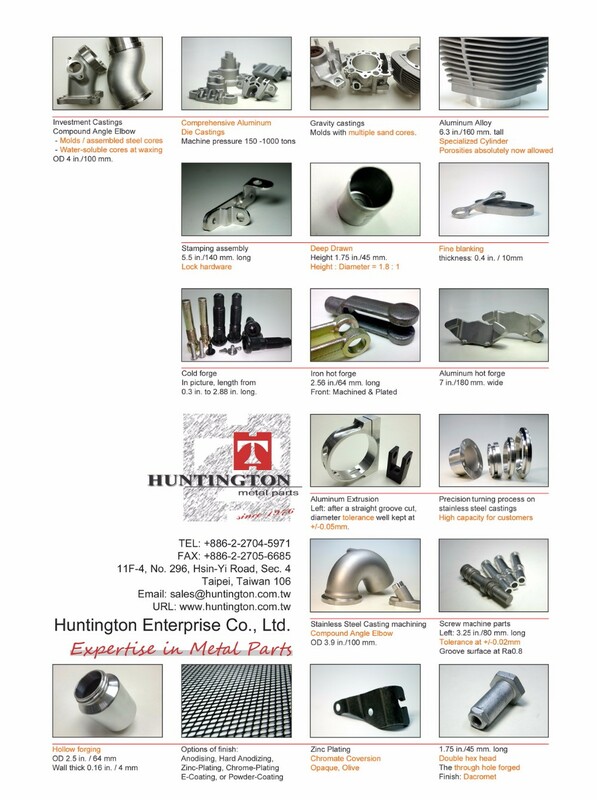 We, Huntington Metal Parts, are specialized in metal parts manufacturing, and own the die-casting, stamping and machine shops. Based on 40+ year experience, we got well built infrastructure and knowledge in integrating methods of manufacturing for castings, including investment casting, sand casting, gravity casting, and pressure die casting. 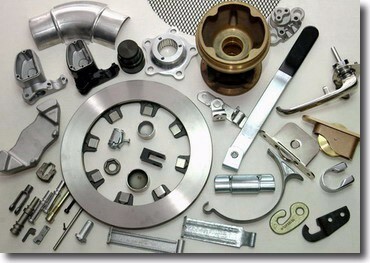 Materials for castings can be Aluminum, Zinc, Iron, Steel, and Stainless Steel. We're capable for different scale of castings, ranging from small 10 gram specially designed nuts, to 30 kilo-gram valve case. Though sizes vary, what we pursue is one and only one result - the best quality. Stamping - Single stroke, progressive die, and fine blanking. Forging - Hot & Cold in stainless steel, iron, and aluminum. With over 40 years of experience and a solid and well-tested infrastructure, we have a wide foundation of expertise and knowledge in integrating methods of manufacturing, as well as material choosing. 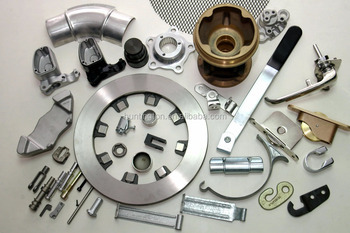 Dedicated in making OEM parts (castings, forgings, stampings, machining, finishing, rubber, plastic or combinations of above), our oversea customers can trust us in the entire process from initial concepts or ideal designs to the production stage. We uniquely excel in difficult, multi-process, quality-oriented, and small-quantity items. With each order, we are dedicated to our pledge of price competitiveness, consistent and rigorous quality control, and risk mitigation for customers.